A report indicates there is evidence that members of the Islamic State (ISIS/ISIL) have forced children to play soccer with decapitated heads as a way to desensitize them to violence. Their findings back numerous reports of people who witnessed children using decapitated heads. Last April, some Palestinians escaped a refugee camp after the Islamic State captured it. “In Palestine Street, I saw two members of Daesh playing with a severed head as if it was a football,” explained Amjad Yaaqub, a 16-year-old refugee. In June 2014, the terrorist group hijacked hashtags on Twitter associated with the World Cup, including #ENG and #Brazil2014. They posted pictures of slaughters and jihadists using heads as soccer balls. The same report found evidence that the terrorist group has impregnated up to 31,000 women. The Islamic State has used social media to recruit women to help it populate its Caliphate since invading Syria and Iraq in the summer of 2014. Many of the women come from the UK, Australia, and the United States. 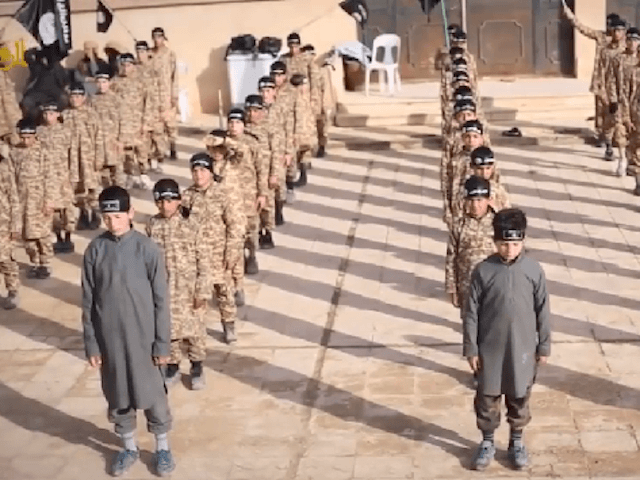 The Islamic State then enrolls these children, some as young as six, into training camps. One video, titled “School of Jihad,” shows children learning how to behead and torture “infidels” and handle weapons. The group also released a video in August 2014 with Omar al-Shishani, a prominent Chechen leader in the Islamic State. One of the oldest kids shows his ability to quickly take apart the gun, reattach it, and load the ammunition. After that, the children hide behind a wall and perform a mock military exercise for al-Shishani.